Did you know you are not in the ALTA Registry? If you’re getting this email, your company is not confirmed in the ALTA Registry. 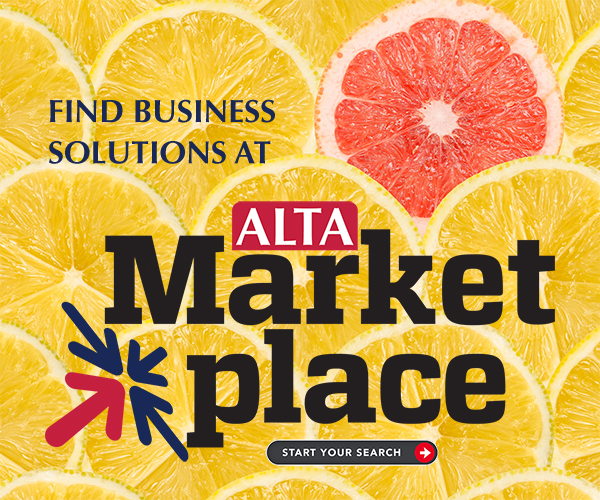 As a valued ALTA member we want to make sure you don’t miss out because 6,000 of your competitors’ locations are already confirmed in the ALTA Registry. While joining the ALTA Registry is free, being an ALTA member does not automatically get you listed. There is an additional step of getting your record confirmed by your underwriter(s). If you are unsure about your status in the ALTA Registry, please go to www.alta.org/registry to check out your underwriter confirmation status. If you do not see “Confirm,” then you record is waiting for you to start the process of getting listed in the ALTA Registry. We are signing up lenders who are eager to use the ALTA Registry as a better way to identify and communicate with you. Lenders know that with our data, you can be accurately identified earlier in the real estate transaction. Do not be surprised if you start getting requests for ALTA IDs when orders for title are placed by your lender customers. If you need help, email us at altaregistry@alta.org. Babies are cute. Check out what’s not cute.